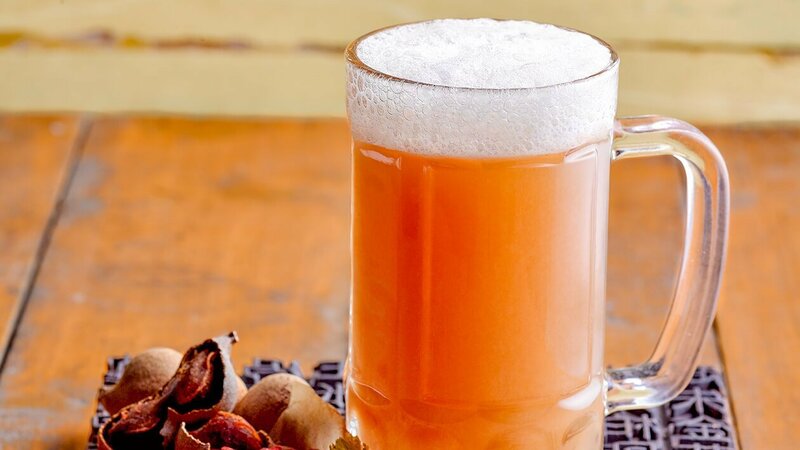 Diners will love this “beer” lookalike beverage, that is actually tea infused with a perfect blend of chrysanthemum and tamarind. Refreshing, zero alcohol, yet just as good for toasting or “yum-seng” at celebrations! Bring water to boil, simmer and infuse Chrysanthemum and Wolf Berries for 20 mins. Strain tea and set aside. Mix in all the ingredients and bring to boil. Place tea in a shaker and shake well before serving.